The Law Firm of De Camps, Vásquez & Valera emerges with the aim to satisfy the growing demand for specialized and complex legal services, from both local and international clients, from all industries and economic sectors. In our current business environment, clients need legal assistance and advice from experienced accessible lawyers, focused on protecting their interests and offering strategic and innovative solutions to their legal issues. Therefore, we have gathered talented and well-trained legal professionals who, through continuing legal education, extensive work experience, locally and internationally, and a strong common commitment to excellence, make a team of capable, diversified and highly knowledgeable lawyers, making De Camps, Vásquez & Valera a leading law firm and mandatory reference in the Dominican Republic. The Law Firm was founded in 2005. With highly specialized practice areas, De Camps, Vásquez & Valera offers its clients a wide array of legal services with emphasis on personalized attention, adding value, offering creative and innovative solutions, mitigate legal exposure and ensuring the effective and timely implementation of the legal solutions proposed. Also, the use of technology allows us to maintain effective control and supervision over each matter and enables us to provide our clients services with the highest quality and efficiency, regardless of size or complexity. 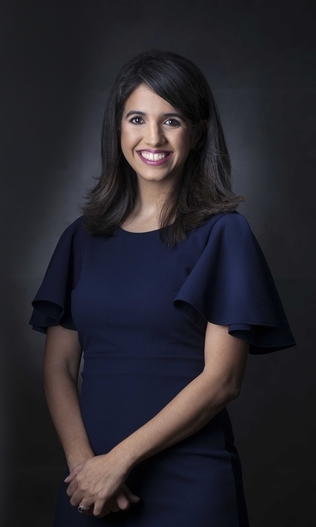 De Camps, Vásquez & Valera also understands that clients value their lawyers’ adherence to ethical rules and confidentiality in handling their personal matters and businesses. That is why we have taken great care to emphasize a culture of strict adherence and respect to ethical rules and to protect the information we handle as part of our work. We value the trust our clients place upon us when working with our team and are proud to protect our clients’ interests, information and business and we always strive to have a good working relationship with them, always in hopes of building long-term relationships. De Camps, Vásquez & Valera maintains working relationships with prestigious law firms worldwide, allowing us to provide comprehensive legal advice in complex international matters, regardless of the various applicable treaties or involved jurisdictions. Meeting the need for legal services by understanding our clients’ needs, and working tirelessly to offer strategic and value-added advice, to generate effective and efficient solutions to their various legal issues, and to assure timely and the adequate implementation or completion of their matters and transactions, highlighting the reliability of our work through an excellent professional team that ensures the effectiveness and quality of our services. Expanding and customizing our client base thereby maintaining our place as one of the leading Firms in the Dominican Republic, with a clear sense of ethics and long-term commitment to our clients. De Camps, Vásquez & Valera offers assistance in matters relating to administrative law and governmental procurement regulations. We can help in bidding processes on governmental related contracts, registration of businesses as governmental contractors, provide legal advice for the proper execution and management of governmental contracts and provide legal advice and representation in cases of administrative litigation against the central Government or the Municipal governments. When business relationships become strained or difficult, when disagreements arise during the execution of commercial contracts, or in scenarios where damages are inflicted against our clients, their patrimony or our clients’ responsibility is compromised, directly or indirectly, De Camps, Vásquez & Valera is prepared to assist clients in solving such matters and advising on the best course of action. 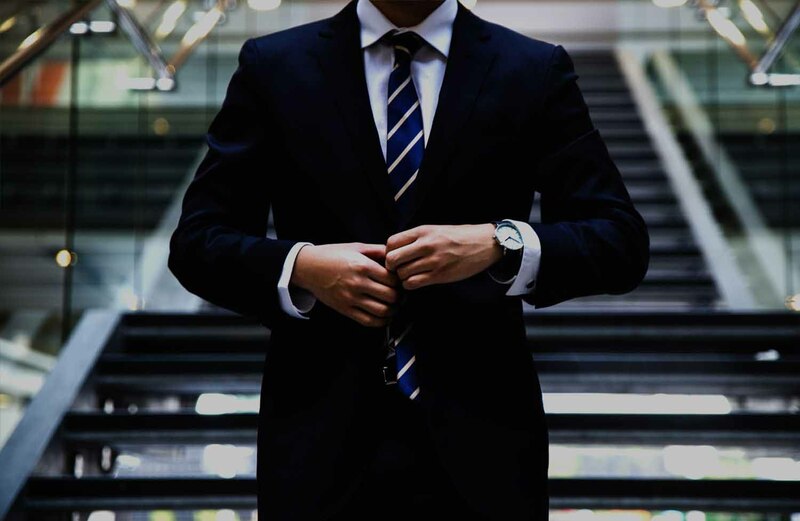 We understand that all means of alternative dispute resolution must be properly exhausted, starting with a good-faith negotiation process, continuing with a conciliation procedure if possible, and an arbitration procedure, should the disagreement continue. However, the Firm is aware that certain problems must be solved through litigation, which is where all the information supporting the case obtained in the previous stages strengthens the position of the clients. In all such cases, we are prepared to assist and represent clients to the best of our abilities. De Camps, Vásquez & Valera has in-depth experience in a wide array of business transactions. In the ever changing complex world of business, our Firm offers specific and specialized contractual structures, innovative approaches to business transactions, and strategic advice to best protect our clients’ interests in such transactions and to assure proper and timely completion thereof. We work on structuring business ventures, from the internal workings of the corporate structure, in terms of bylaws and Shareholders agreements, to its contractual relations with third parties, such as, customers, service providers, lenders, creditors, purchasers or sellers. In all such operations, we work closely with our clients to understand their business and their interests, to devise the appropriate strategies and to execute agreements and transactions that best protect and benefit them. Since the 2010 constitutional amendment, which included the creation of a Constitutional Court, Constitutional Law has become one of the most important areas of practice in the Dominican Republic. De Camps, Vásquez & Valera is highly prepared to advise its clients in all matters on which Constitutional Law and the decisions of the Constitutional Court have an impact on ordinary legal issues and to provide legal representation on the various constitutional procedures before the ordinary courts and the Constitutional Court in order to help our clients in the allocation and protection of their constitutional rights from individuals or Government actions. The construction industry is very active in the country and clients in the sector need lawyers with expertise navigating the various rules and regulations applicable to such activities and experience with the contractual relations normally formed in construction projects. De Camps, Vásquez & Valera works with clients in matters relating to large and small construction projects, including land searches and purchases, creating a financial structure that assures success, and the body of contracts needed to execute such projects till their ultimate and successful completion. De Camps, Vásquez & Valera assists clients on how to best structure their business ventures and advices on all changes and updates companies require, from time to time, to reflect the changing needs of all businesses. Our General Corporations Law No. 479-08 allows businesses to operate through various legal forms, and our Firm advises its clients in choosing the appropriate corporate structures, organizing its assets, and completing incorporation procedures, as well as in keeping companies up to date and in good standing. 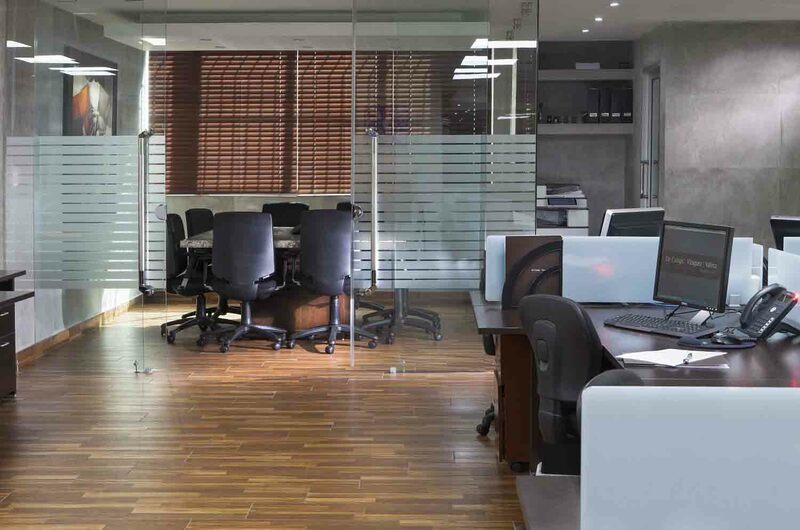 Our Firm offers services of corporate housekeeping to assure corporate matters are properly managed and that all corresponding legal paperwork is taken care of. The energy sector in the Dominican Republic has experienced great changes as a result of regulations and the development of new clean sources of energy. We assist clients, in both the traditional energy industry as well as in the renewable energy sector. We have specialized legal professionals that can assist all participants in the area in all matters relating to permits and authorizations, special incentives regulations, project development agreements and financial transactions. It has become increasingly important for local businesses to know and comply with local environmental laws, whether they be new businesses starting operations in the country, or ongoing endeavors. De Camps, Vásquez & Valera has a team dedicated to helping clients navigate the regulations on the matter and ensure compliance with the law. 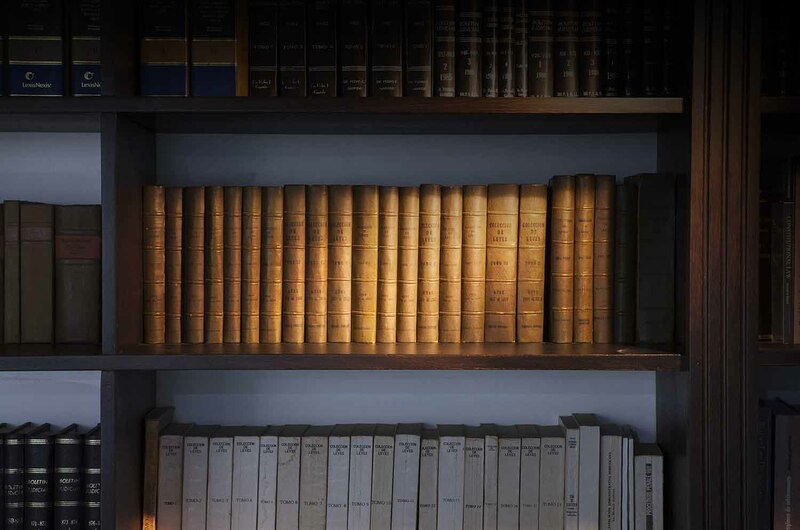 Civil Law practice, which is the basis of our social order dealing with personal and family relations, is kept as one of the pillars of De Camps, Vásquez & Valera’s law practice. We offer services in dealing with family matters, such as marriages, civil union, divorces, adoptions, estate planning, trusts, wills, as well as changes in citizenship and immigration issues. We also handle all type of civil contracts. All situations that arise from interpersonal relationships, associated with family law or civil contracts, are managed and researched for each particular case so that the best and more adequate solutions can be proposed and executed. With the enactment of financial and monetary laws and regulations, as well as new money laundering laws, this sector has become very specialized and complex, reaching levels of sophistication where only specialized and knowledgeable legal assistance can be useful. It is precisely in the understanding of this scenario, that De Camps, Vásquez & Valera offers its legal services in the financial and banking legal practice area. 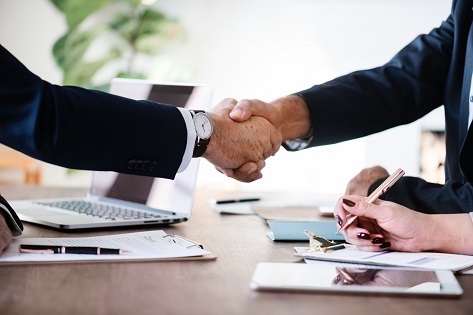 We assist banks, lenders, and other financial entities to draft the appropriate finance agreements, covering all financial terms and security packages. We work with single lenders as well as bank syndicates and international banking institutions. We also help our clients in the sector in terms of compliance with the laws and regulations that apply to their operations in the country. Foreign investment in the Dominican Republic can take many forms and be directed towards different sectors within the national economy. De Camps, Vásquez & Valera offers its legal services and economic consulting services to the parties interested in investing in the country, finding the best investment vehicle as well as the best structure to secure such investment and assure proper compliance with local laws and the benefit of applicable international treaties. Additionally, the firm counsels its clients in identifying the best sectors and sub sectors for investing. In a world of increasing global interconnection, digitalization and social media, Intellectual Property has become one of the most valuable assets of modern businesses. Aware of this trend, De Camps, Vásquez & Valera has a practice offering comprehensive services in intellectual property protection. We offer advise and assist in all processes regarding registration, protection, and licensing of IP as well as litigation involving IP rights infringement. International transactions, regardless of the area or industry in which they occur, require a high level of spe­cialization. The legal analysis should not only take into consideration the interests of the parties, but also the different laws of the countries involved as well as the way those laws can be applied or interpreted in other jurisdictions. From economic multilateral agreements like GATT/WTO, DR-CAFTA, through bilateral treaties such as tax information and double taxation treaties, all must be considered to assure the best legal assistance possible. It is precisely this level and scope of in-depth knowledge and experience on which De Camps, Vásquez & Valera bases its international trade practice. Labor and employment in the Dominican Republic are governed by laws and regulations that De Camps, Vásquez & Valera are fully knowledgeable on, as well as on the court decisions which affect local practice and the application of such regulations. We have extensive experience and are prepared to advise clients on the labor regulations that affect their businesses, from counseling on labor agreements, devising and executing compensation packages, union agreements, compliance of regulations, to representing them, should the need arise, in judicial proceedings as part of any type of labor dispute. As one of the most scarce and valuable goods, Real Estate has always required considerable legal protection and care. De Camps, Vásquez & Valera offers a wide range of legal services as part of its real estate law practice assisting clients with all aspects concerning land property transfers and development in the country, while protecting their interests and complying with the appropriate laws. We advise clients on land transfers and acquisitions, title searches, financial transactions involving securities and mortgages, land development, condominium creations and operation, commercial and residential leases, and all other matters involving land properties. Appropriate counseling regarding the fiscal implications of all operations and transactions should be sought when making business decisions and strategizing on growth or restructuring. De Camps, Vásquez & Valera has the experience to advice its clients regarding tax law matters to minimize the fiscal costs related to all such transactions and operations while assuring compliance with all applicable laws and regulations on the matter. We sit down with clients and look at all possible scenarios regarding any potential transactions or business operations, expansion or restructuring, to inform and advise on choosing the most cost-effective alternative available under Dominican legislation and following the corresponding process to its proper completion. After the approval of the General Telecommunications Law No. 153-98, and its regulations, the Dominican Republic acquired a legal framework designed to protect national and foreign investments in the telecommunications sector. In this area, De Camps, Vásquez & Valera offers legal assistance to companies that offer public telecommunications services, as well as television and radio companies, on all issues before the telecommunications regulating body, Instituto Dominicano de las Telecomunicaciones (INDOTEL). 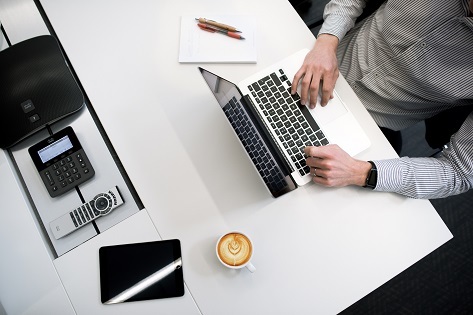 The Firm represents service providers before the INDOTEL regarding claims from users, on interconnection issues and all other regulatory matters. The Dominican government understands the importance of the tourism sector for its economic development and wellbeing and has therefore created a special legal framework to regulate it and grant incentives to investments in the area. De Camps, Vásquez & Valera assists clients that wish to invest in tourism through new projects or in pre-existing ones in all touristic zones within Dominican territory, on the applicable regulations of the sector, on structuring tourism projects, ensuring proper land documentation and ownership, drafting and executing construction agreements as well as financial transactions and security packages. De Camps, Vásquez & Valera has assisted clients in the legal processes related to organization, administration and disposition of estate, in the framework of the main legal provisions of the Dominican Republic, including, but not limited to, those regarding intestate succession, gifts and other mechanisms for the transfer of rights or assets. Likewise, the Firm has extensively worked in the estate planning of its clients, which is done using different judicial mechanisms, such as Trusts. Wealth preservation Trusts involves managing your assets in such a way to ensure that the value of your assets does not decrease or erode. Santo Domingo, D. R., Wednesday, December 12, 2018. - The National Council of the Magistracy, headed by President Danilo Medina, appointed lawyer Miguel Valera Montero, founding partner of the firm De Camps, Vásquez & Valera, as new judge of the Dominican Constitutional Court, in a formal ceremony held at the National Palace. 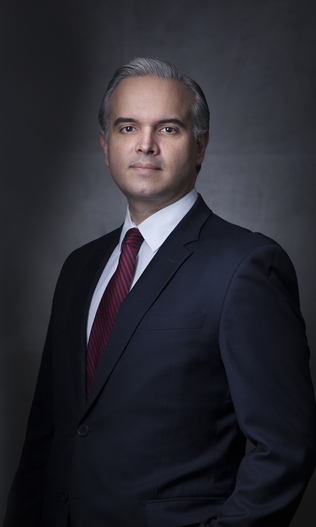 As a result of his swearing-in on Tuesday, December 11, 2018, Mr. Valera Montero announced that he will cease his participation within the firm that he helped found, to focus all his attention to pursuing this new professional challenge to the benefit of the Dominican judicial system. Miguel A. Valera Montero is a founding partner of the law firm De Camps Vásquez & Valera. His professional practice focuses primarily on litigation and alternative dispute resolution processes, with emphasis on civil and commercial litigation, constitutional law and administrative matters. 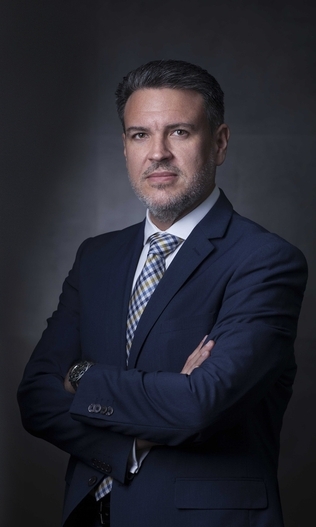 Mr. Valera also has extensive experience representing and advising clients in mergers and acquisitions, commercial transactions, labor law, investment and real estate development and real estate projects, tax planning and consulting, as well as corporate law. 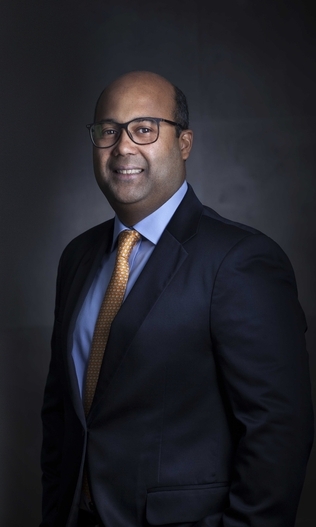 He is an arbitrator of the Alternative Dispute Resolution Center of the Chamber of Commerce and Production of Santo Domingo and was a member of its Board of Directors. Mr. Valera is a graduate of the Pontificia Universidad Católica Madre y Maestra, where he has been a professor, at the undergraduate and postgraduate levels, since 2004, and is a Fulbright scholar, obtaining his Master's Degree (LL.M.) from the Center of Law of the University of Houston. He has published several books, as well as articles and research papers in books and specialized magazines. Since 2012 he is a founding member and member of the Board of the Dominican Institute of Constitutional Law (IDDEC). 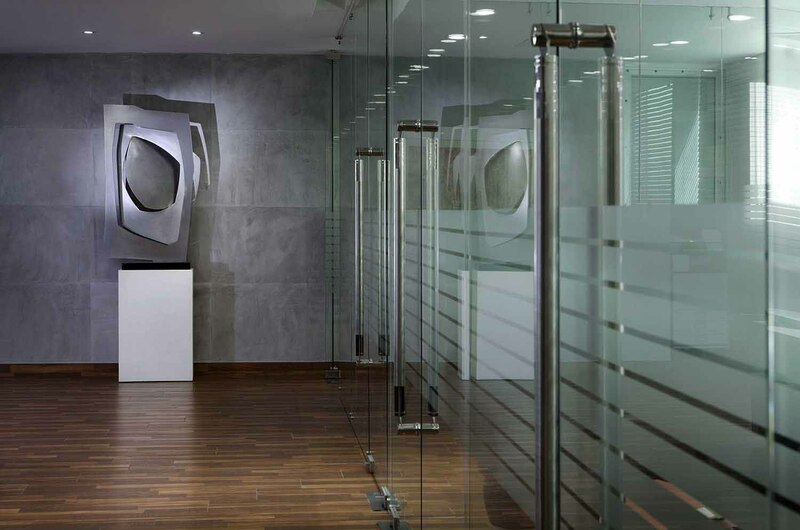 De Camps, Vásquez & Valera was founded in 2005 by a group of experienced lawyers, to meet the growing demand for specialized and complex legal services from local and international clients. To achieve this goal, the firm put together a talented team of highly trained legal professionals with a strong commitment to excellence, making De Camps, Vásquez & Valera, a leading law firm and mandatory reference in the Dominican Republic. De Camps, Vásquez & Valera works with prestigious law firms around the world, which allows it to provide comprehensive legal advice on complex international issues. For further information please contact De Camps, Vásquez & Valera. Amauris Vásquez Disla, founding partner of Law Firm De Camps, Vásquez & Valera participated as a panelist in the Latin American Investment Forum UK 2018 on Energy. The event was held on October 19th the by the Latin American Trade and Investment Association and it focused on the future of traditional and renewable energy. Luis Miguel De Camps García, founding partner of the law firm De Camps, Vásquez & Valera acted as one of the main panelists on the COLAFI Conference on September 5th, 2018 in Colombia. The main topic was Trust as the instrument that generates confidence in big projects. The topic discussed by Mr. De Camps was based on the Development and Overview of the Trust Industry in the Dominican Republic, in his role as the Executive President of the Dominican Association of Trusts. 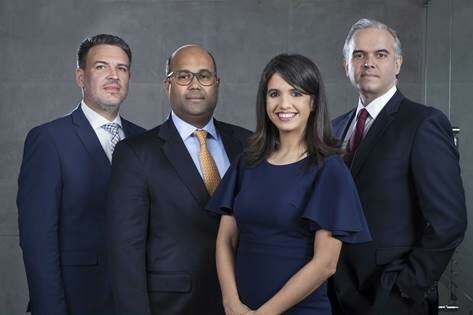 The Chamber of Commerce of Trinidad and Tobago in the Dominican Republic appointed the new members of their board, headed by Mr. Ricardo Hernandez Marchena, and consisting of Alvaro Sousa of Diesco, Amauris Vasquez of De Camps Vasquez & Valera Lawyers; Edmundo Gil of GTC Intl; Braulio Brache, of Pasteurizadora Rica; Gerardo Simon of Sunix Petroleum and Gustavo Tavares of Dominican Maritime. Hernandez Marchena, along with all other members, will head the Chamber of Commerce for a term of two years. During the inauguration ceremony, he called for an increase in trade between the two nations, under the agreement of CARICOM, to maximize the benefits of subregional integration. He said that the new board will continue the strengthening of exchanges between our countries and address the challenges that still exist in the free trade agreements. A little more than 300 kilometers from the city, in the community of Juancho, Pedernales, was inaugurated the first wind farm in the country and the Caribbean, which in its first phase will provide 33 megawatts of electricity to the country, with an investment $ 100 million. The wind farm Los Cocos and Quilvio Cabrera, has 19 wind turbines of 125 meters each, higher than the Acropolis tower building. The park will mean a saving of 700 thousand barrels of oil per year for the country and 1,700 tonnes of CO2 into the environment. 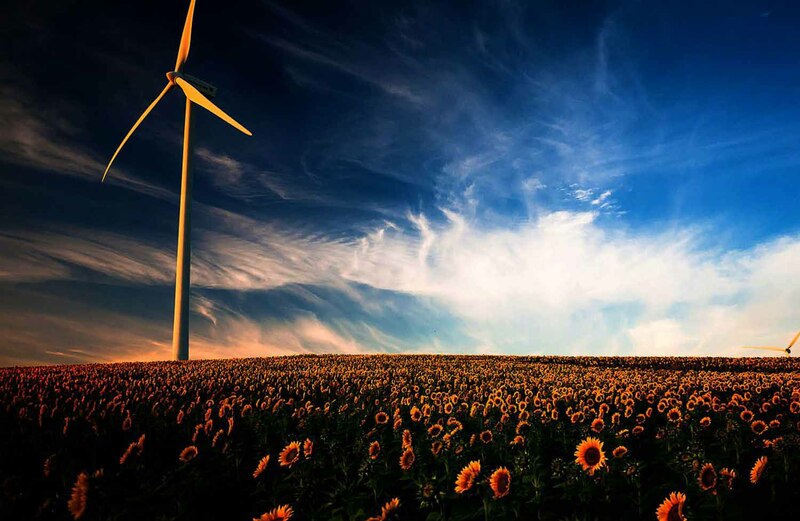 One of the most used is wind energy obtained from the placement of large towers with blades like the windmills of old, that run the rotor of a generator and produce energy which is then distributed across networks. The country should be proud of having started this bet with the opening of Los Cocos wind project, and others that are currently being installed. The Special program Justice and Constitution presented by Servio Tulio Castaños, who is the executive vice president of the Institutionalism and Justice Foundation, Inc., (FINJUS), presented as special guest Mr. Miguel Valera Montero, partner of the firm De Camps, Vasquez & Valera, where he developed the theme of “Constitutional Tribunal as the Guardian of Human Rights”, which discusses the role to be played by the Constitutional Tribunal to ensure the effective protection of fundamental rights and how it will integrate into its decisions the precedents of the courts and agencies of human rights protection than include the Dominican State as part of their jurisdiction.